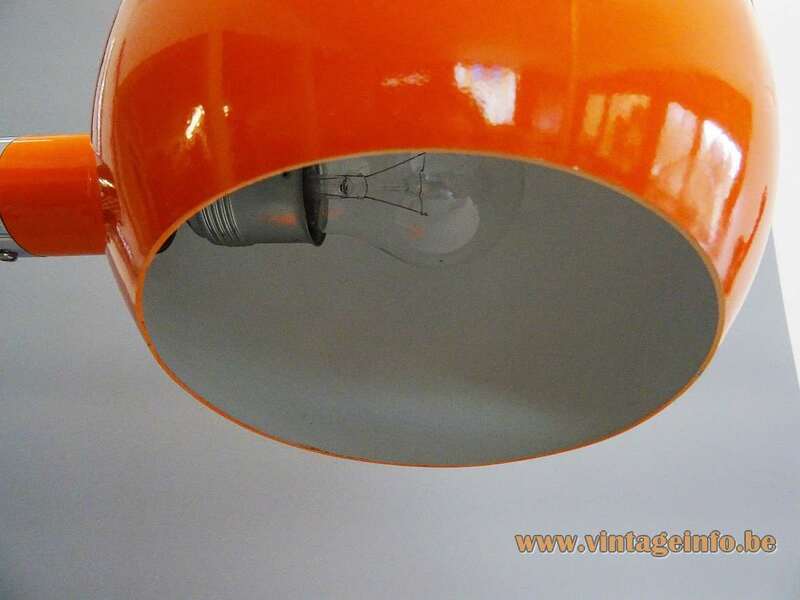 Materials: Orange aluminium globe lampshade, white painted inside. 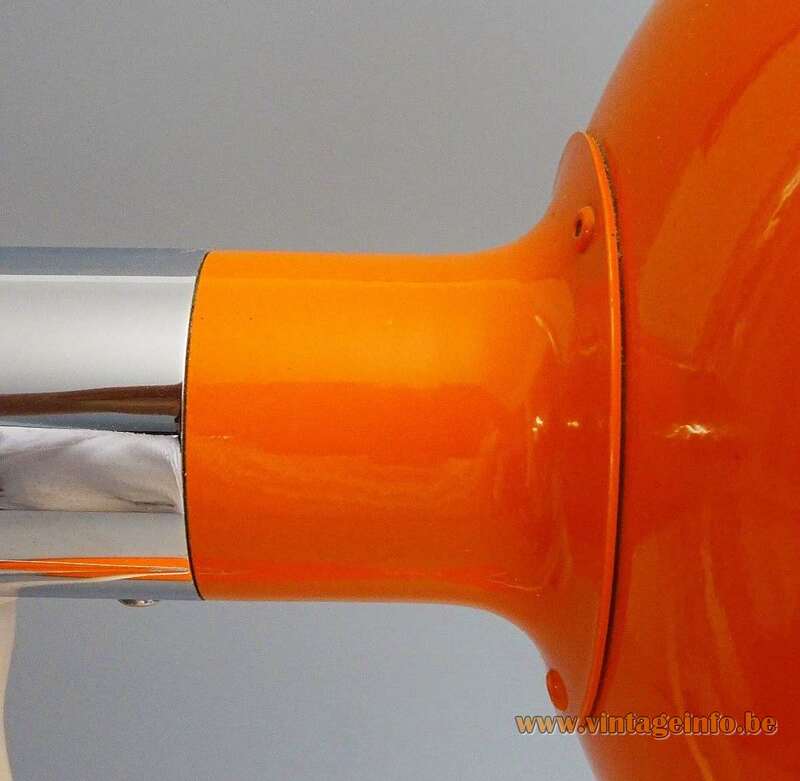 Orange aluminium base, cast iron inside. 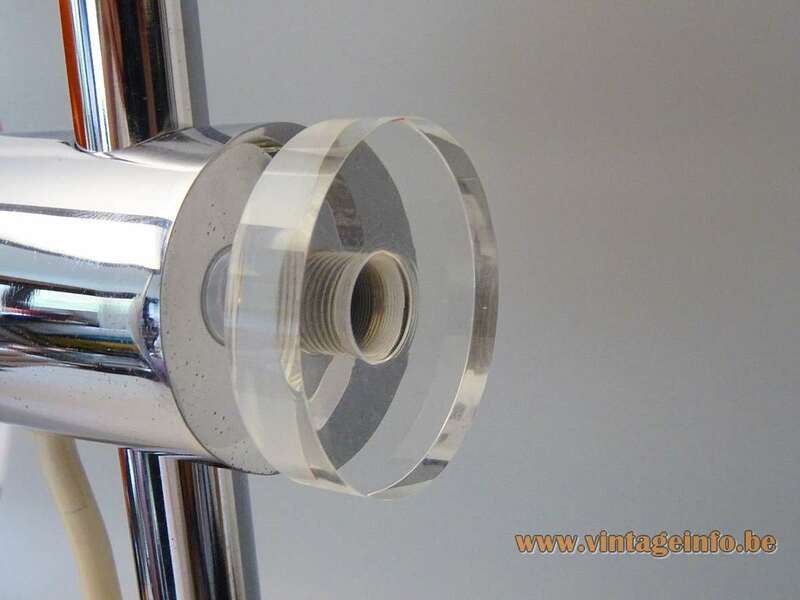 Clear acrylic adjustment screw. Chrome rod and parts. Galvanized metal socket. Designer: Gottfried or Ursula Stürzenhofecker in 1972. Other versions: Made in several colours: yellow, ocher, white, and so on. Lamps were made with a slightly different base. Also produced with 2 globes opposite to each other. Also a floor lamp was produced, the lampshades are bigger than this one. 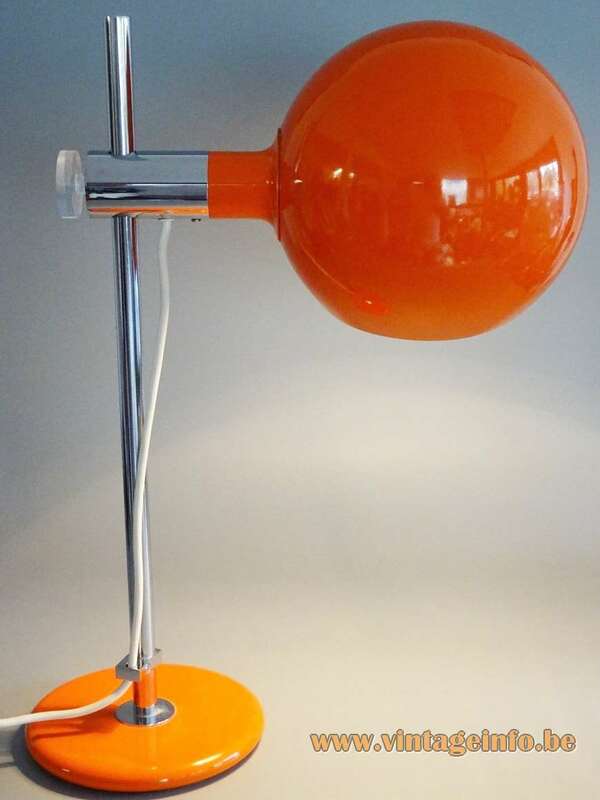 The floor lamp was also produced with 2 globes. 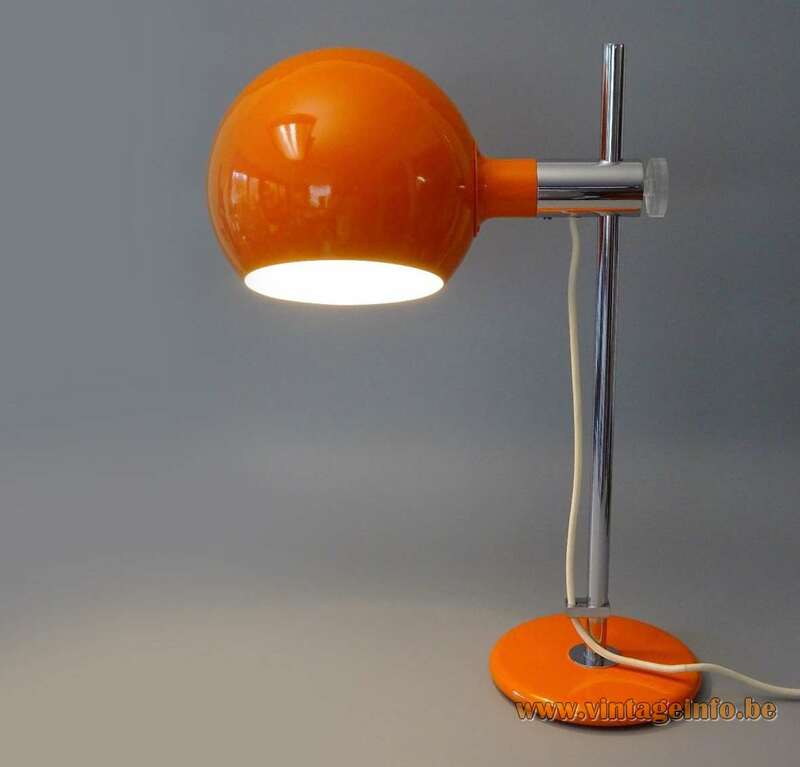 This lamp is model 7964. 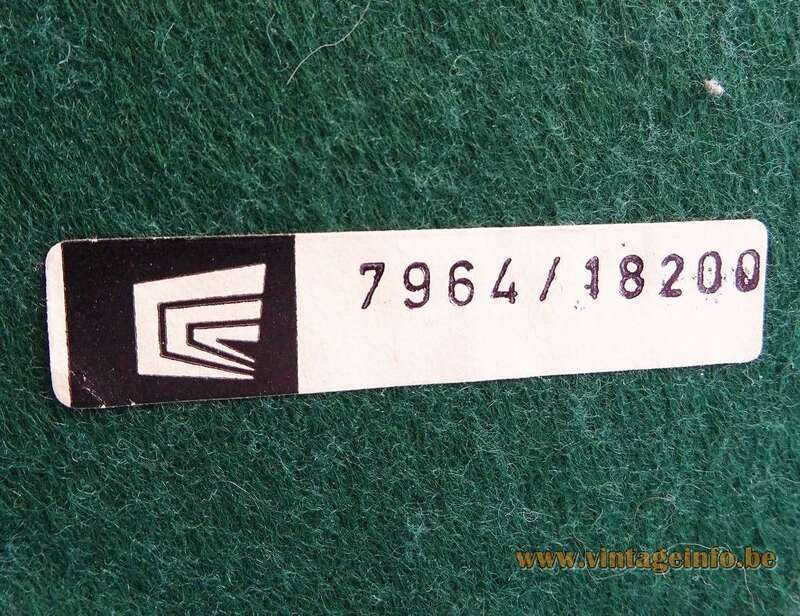 The switch was made by the VLM Components company from Buccinasco, near Milan in Italy. Today VLM Components is owned By Relco. It is one of the biggest suppliers of switches, cords and plugs in Europe. 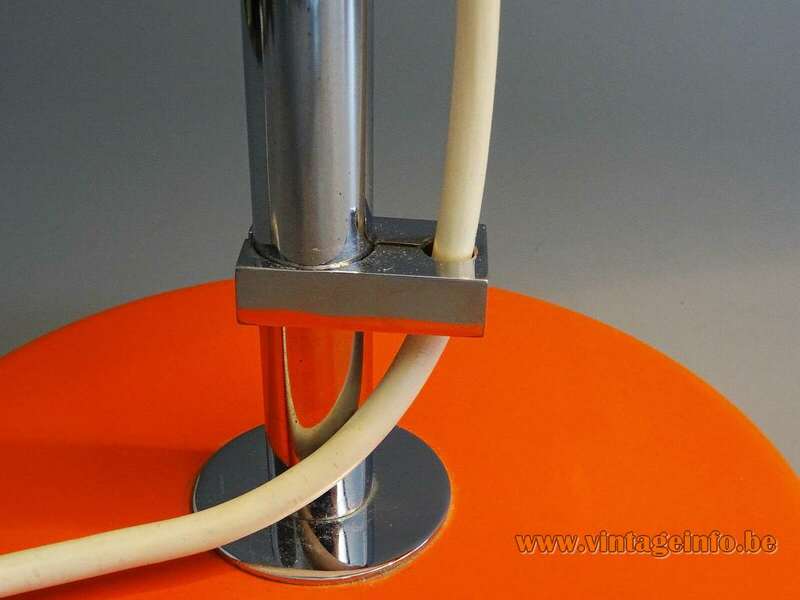 VLM Components became famous because of the switches they produce that were designed by Achille Castiglioni in 1968.